Since the early 1960's ADAM has played a key role in supplying Aircraft Launch and Recovery Equipment (ALRE) program used on United States Naval Aircraft Carriers. This involves the manufacturing of flight critical safety items of launch pistons and sheaves or pulley grooves. Known as the sheave experts, ADAM was nominated by the Naval Inventory Control Point (NAVICP) in Philadelphia and honored by the Small Business Administration as the SBA 2006 Region I Prime Contractor of the Year. 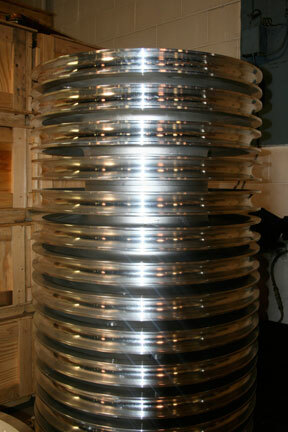 The pistons are used in the steam catapult systems that launch airplanes from the carriers. These pistons include the original 18" design piston to the current 21" "fatcat" piston used in the improved piston assembly (IPA) being retrofitted on all carriers. 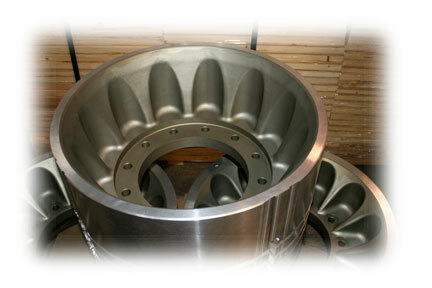 ADAM also manufactures the sheaves or pulley grooves that aid in the recovery of aircraft during the arrestment cycle. 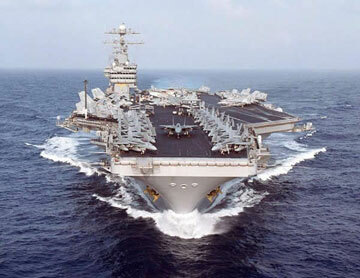 From manufacturing steel sheaves, in wire rope testing, fairlead sheaves, universal sheaves, 427 change over sheaves, to Advanced Arresting Gear Program (AAG) sheave assemblies used on CVX 21 Gerald R Ford due in 2015. Let ADAM quote all of your ALRE needs when there is no room for error.